Not the Droids You are Looking For is a youth robotics team from Pittsburgh, PA, USA. We participate in robotics-related activities all year round. We have have won a Champion's (First, Second or Third) and Robot Performance Award at State-Level every year we have competed for seven years. We have been to world-level tournaments five times. At World-Level, we have won Innovative Solution (First), Robot Performance (Second), Programming (First), Coach Award, and been the Champion's team twice. We are the World Champion team of the 2017/18 Hydro Dymanics season. There are more than 35,000 teams globally that compete in FIRST LEGO League annually. The top 108 are invited to World Festival. One team is given the Champion's Award. We help and collaborate with FIRST teams as well as LEGO MINDSTORMS enthusiasts locally and globally. Our primary goal is to encourage other kids to learn robotics and programming, and share our love for FIRST LEGO League. We have run workshops, demos and classes in many states for FLL Teams, libraries, museums, and schools. We founded EV3Lessons.com in 2014 and have more than 250,000 users in 175 countries. We organize the annual FIRST LEGO League kickoff for our region. International Open (Toronto): 1st Place Innovative Solution. This section has not been updated. Please visit our BeyondtheInstructions.com site to see more projects. We have been honored to appear in several news stories and publications and news stories including KDKA, WPXI, Pittsburgh Post-Gazette, Tribune Review, Carnegie Mellon University Robotics Academy, Northern Connection, INCommunity Magazine, The NXTStep, and The LEGO Group YouTube Channel, Forbes, Popular Mechanics, Gizmodo, The Verge, Vocativ, Code.org, North Hills Monthly, and more. Thank you to everyone for writing about us. We hope our story will inspire more kids around the world. EV3Lessons.com is a global coopertition website that involves over two dozen FIRST teams and other individuals. Here, MINDSTORMS EV3 users collaborate and share programming lessons and other resources. This site is used by over 100,000 users in 160 countries. Sanjay and Arvind Seshan are the founders and curators of the site. We have collaborated with others to translate the lessons into other languages including Dutch, Portuguese, Spanish, Hebrew, etc. so we can reach the greatest number of students. Our curriculum is used by FLL teams, WRO teams, technology teachers, Boy Scouts, robotics clubs and more. In addition, we have lots of resources for FLL teams including an Interactive Strategy Planner, an Animal Allies Scorer, one-page Quick Guides and lots of Core Value Activities. Want to learn more? 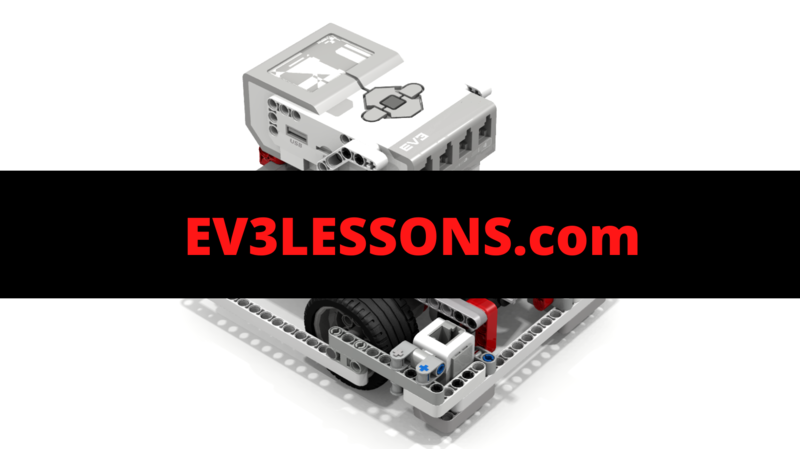 Visit our website EV3Lessons.com. This robot was featured in the LEGO "Play to Protoype" video onYouTube. It was also featured as part of LEGO's "Innovation at Play" campaign on the LEGO website. We have two versions of this robot - one that uses the EV3 color sensor and one that uses the PixyCam. Videos and photos of this robot will be added here soon. DroidBot robots are designed to fill a need - sturdy educational robots that have all the motors and sensors on them in the beginning in good locations for teaching an entire set of beginner lessons. EV3 users who purchase the retail set 31313 are not provided with any designs that are meant for teaching. DroidBot JR is designed as an educational robot for the 31313 set. It is compact, uses minimal parts, has a shielded color sensor and features a handle. DroidBot 2.0 is the second generation of DroidBot designs for educational purposes. It was designed to go along with the lessons on EV3Lessons.com. It also features SNAP attachments that are easy to put on and take off. It has been used by numerous organizations to teach robotics including the Girls of Steel (Pennsylvania), Hackground (Maryland) and numerous FLL teams aroudn the world as a base robot design. You can download the DroidBot designs on the EV3Lesssons Robot Design Page.